Rania Habiby Anderson is a foremost expert on the career advancement of women in emerging economies and the author of Undeterred: The Six Success Habits of Women in Emerging Economies, the first career advice book expressly written for educated women in developing and emerging economies. 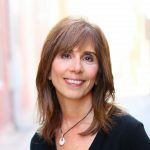 As an international speaker, executive business coach and founder of The Way Women Work, a global platform for career and business women, she speaks to, advises, trains and writes for women and men at corporations including P&G, GE, Barclays, PwC,Telesure and O-I as well as at universities and conferences around the world. How often have you heard “Women aren’t getting ahead’ or You aren’t doing it right” or “You aren’t confident enough”? I don’t believe that’s the case and neither should you. You can choose to stop thinking about what you are not doing and unsubscribe from the belief that you have barriers within you. Focus instead on the ways you excel and the unique perspectives you bring to your job. Operate with the firm conviction that there’s always a way through the barriers around you. In other words, lead. Women like you, millions of women in emerging economies and around the world, succeed and lead by taking advantage of opportunities for themselves and others. 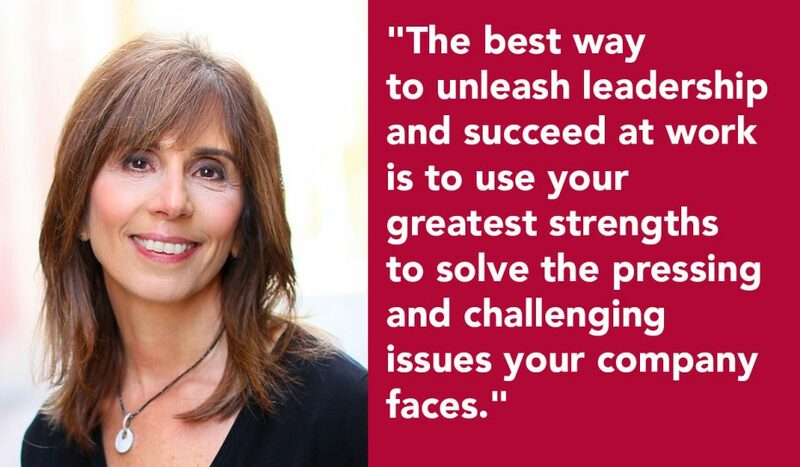 The best way to unleash leadership and succeed at work is to use your greatest strengths to solve the pressing and challenging issues your company faces. You can lead no matter who you are and what your job is. Leadership is about seeing a better future and inspiring others to work toward it with you. Identify overlooked opportunities or issues that would increase revenue or reduce expenses. Strategize ways to take advantage of these unrecognized opportunities. Bring your well-thought-out (not half-baked) insights to appropriate influential decision makers. Here’s one example: a woman working at a lingerie manufacturing company observed that most lingerie design has not evolved with the changing roles of women. Today, there are many more women doing sports, more women in uniform in military and law enforcement positions and more women who want something completely different in their underwear. So she brought her insights to help her company develop new lines. 2. Make notable contributions. Be visible. Quick, what are the top three notable results you’ve achieved this year? What three things would your clients (external or internal) say about you? Make them important, indispensable and even better, spectacular. For example, bring in new clients even you are not in a sales roles. Anticipate clients needs versus merely responding to them. Leaders develop by taking on difficult assignments where success and failure are very evident. To develop your leadership skills and visibility, you’ll want to volunteer to fix broken processes, take on an international assignment or a new role that has never been done before, or offer to deal with a very difficult but important client. Recently, a woman in middle management, who I coach, volunteered in front of every manager at her company to work with the CEO on an entrenched business challenge because she knew that her educational and prior work experience would bring a perspective that had been missing to the issue. Was that risky? Sure it was – go ahead take the risk! 4. Say no to obstacles. It is abundantly clear to me as I’ve interviewed and worked with women in emerging economies and around the world – successful women view “no” as temporary. To them, no means “not yet.” They are undeterred. While they respect their cultures and strive to work within prevailing norms, they find ways to get what they want done. They lead around or through challenges. Young women in particular regularly encounter being taken seriously by experienced, senior (male) managers. An IT manager kept being discounted by her internal clients and they kept going above her to a more senior (male) IT peer. Rather than complain, she approached each manager she had to work with and asked them to share with her specific things she should read, learn and know about their businesses. She spent time with people working in each area to better understand their jobs. She sat in on meetings. Her commitment and growing expertise became very apparent and impossible to ignore. The teams she supported began to trust and work with her. Ultimately, she was able to implement a new IT system that had previously been met with a lot of resistance much more successfully than any of her male peers. 5. Identify an influential person who can give you opportunities to lead. Build a relationship with them. Ask for their direct, frank feedback. Give them a reason to advocate for you. There are hundreds of articles written about how to identify and build a relationship with a sponsor, a powerful person who champions you. Here’s one resource [http://thewaywomenwork.com/undeterred/] that lays out the process step by step. Stop waiting. It’s your turn! Your company, your family, the world, and most of all you, need your leadership.